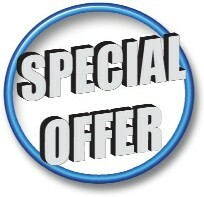 Special Offer For Alarm Engineers. Instant Alarm Engineers Bible. Over 500 Installation and User Manuals + Fact Sheets and Help Sheets, Instant Download just £29.99 plus VAT. This instant download includes Engineer and User manuals for just about every alarm system available both new and old. ADE, ARITECH, BSIA, BT REDCARE, C&K INTELLISENSE, CASTLE CARETECH, ELECTRONICS LINE, GALAXY, GUARDALL, GARDTEC, MELCOM, MENVIER, OMNICRON, PYRONIX, SATEL, SCANTRONIC, TEXECOM, VENTCROFT, VIPER, VISONIC, VISTA plus BUILDING REGULATIONS, PHONE WIRING GUIDES AND MUCH, MUCH MORE. Delivered Instantly By Email. All Manuals in PDF Format.